Milk is one of the most common and essential items on any American consumer’s grocery list. However, before it ever reaches your local grocery store shelf, the safe and abundant production of milk involves many steps — including top-quality animal care, modern milking procedures, state-of-the-art logistics and health-conscious food processing. Each step provides much-needed jobs to both rural and urban communities and pours billions of dollars into our economy. A great deal hinges on the viability of the U.S. dairy industry, not the least of which are providing safe, nutritional food products to families throughout the world and employing hundreds of thousands of hardworking Americans. However, farmers and dairy-related businesses are in a panic over the lack of workers regularly showing up to work on our nation’s farms. So, what happens to rural communities or — more significantly — the U.S. economy when we can’t find employees to milk the cows? Immigrants perform the day-in, day-out basic activities that go along with milking and humanely caring for U.S dairy cows. These jobs are repetitive, and employees must show up regardless of rain, snow, sleet or heat. The cows, after all, don’t take a day off and require care every day of the year. Wages for these positions continue to increase in hopes of attracting domestic workers. But, despite rising wages and benefit packages, these jobs continue to go unfilled. With some of the most-important jobs on our dairy operations left unfilled, the impact is far reaching. When milk production is reduced, the economies of the entire dairy infrastructure are negatively impacted. Less transportation is needed, cheese manufactures and feed company employees are laid off; veterinarians, dairy supply jobs and equipment manufacturing, and others continue the downward spiral. Furthermore, the loss of production increases the price of milk and dairy products on the store shelves. While the dairy, livestock and agriculture industries are in a crisis mode due to the lack of an available labor force to take care of the nation’s animals and grow food, legislators on Capitol Hill have an opportunity to move a new H-2C Guestworker program through the House and Senate right now! The 30,000 dairy producers, allied industry businesses and industry associations represented by the American Dairy Coalition feel there is no “one-size-fits-all” immigration policy that will provide a universal answer to all facets of the dairy industry. We desperately need the AG Act reform bill to begin moving through the House and Senate in order to provide the tools to assist farmers in locating the labor they need to maintain their dairy operations. The American Dairy Coalition applauds Rep. Bob Goodlatte (R-VA), Chairman of the House Judiciary Committee, for standing up for American dairy farmers with his Agricultural Guestworker Act (AG Act). This bill will create a new visa category — the H2-C — suitable for the year-round needs of the dairy industry. 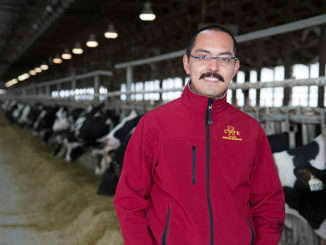 This bill intends to cut out the bureaucratic red tape associated with current guest-worker visa programs and allow the dairy industry access to the reliable workforce necessary for U.S. dairy producers to sustain and grow their businesses. The American Dairy Coalition represents the united voice of the dairy industry. Our coalition is solely focused on advocating to advance the economic success of dairy farmers. We support the efforts of Rep. Goodlatte and remain dedicated to establishing bi-partisan support to move his bill across the finish line. 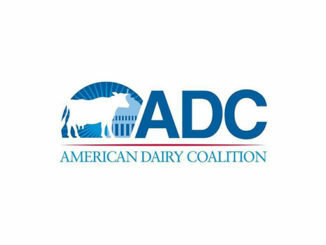 The American Dairy Coalition (ADC) is a farmer-led national lobbying organization of progressive, modern dairy, livestock and agriculture farmers in the nation. We focus on federal dairy, agriculture and livestock policy. Laurie Fischer, CEO of the ADC, has broad and in-depth knowledge of policy and the political process along with extensive personal relationships built up over many years with key political leaders in both the State and Federal capitols. Fischer grew up on a dairy farm, and formerly owned and operated a dairy farm in Wisconsin. For more information, contact CEO Laurie Fischer at 920-965-6070.